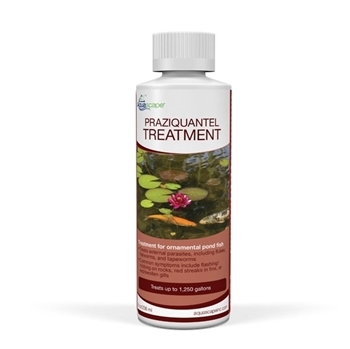 Aquascape Praziquantel Treatment is one of the safest, most effective pond fish treatments available, treating a vast array of external parasites such as flukes, flatworms, and tapeworms. Common symptoms of these issues include flashing/rubbing on rocks, red streaks in fins, or red/swollen gills. 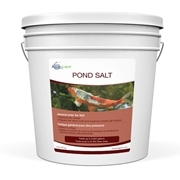 Praziquantel will not stress fish, damage filters, or negatively affect the balance of ponds. Large ponds typically only require one treatment with no water changes needed. It is extremely important to resolve parasite issues as soon as possible. 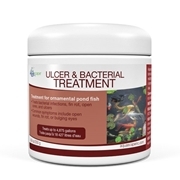 Many issues can be linked back to poor water quality or the introduction of a sick or stressed fish. It is important to accurately dose any treatment. 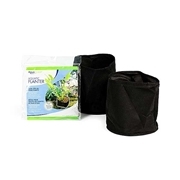 Please take time to calculate the water volume in your pond before adding this or any other water treatment. Discontinue the use of UV clarifiers/ sterilizers or chemical filtration, including the use of carbon, zeolite, or ion exchange resins. Ensure proper oxygenation during treatment. Before adding any medication to your pond or holding system, make sure you verify all water parameters and rectify any issues before treatment. One 8-ounce bottle treats 1,250 gallons of water.